We value our vendor partners. We select and partner with those technology companies that make the best products today and are developing the best ones for tomorrow. Partners that are customer-centric, embrace a collaborative approach to problem solving, and value long-term relationships. Aruba Networks is the leading provider of next-generation network access solutions for mobile enterprise networks. The company's industry-leading Mobile Virtual Enterprise (MOVE) architecture unifies wired and wireless infrastructures into one seamless network access solution - for traveling business professionals, remote workers, corporate headquarters employees and guests. With the Aruba MOVE™ architecture, access privileges are linked to a user's identity. That means your enterprise workforce has consistent, secure access to network resources based on who they are - no matter where they are, what devices they're using or how they're connected. Attivo Networks® is an award-winning leader in deception technology for real-time detection, analysis, and acceleration of incident response to cyber-attacks. The Attivo Threat Matrix™ Deception and Response Platform provides early detection of advanced, stolen credential, ransomware, and phishing attacks that are inside user networks, data centers, clouds, IoT and ICS-SCADA environments. By deceiving attackers into revealing themselves, comprehensive attack analysis is efficiently gathered, actionable alerts raised, and response actions automated with prevention system integrations. Designed for continuous threat response, the platform provides vulnerability assessment of attack paths, that can be used to strengthen an organization’s overall security posture. As enterprises adopt cloud applications and BYOD, IT is faced with securing the proliferation of sensitive data that is now outside of corporate firewalls. Existing security technologies are simply not suited to solving this task, as they were developed to secure the corporate network perimeter. Adding to the challenge, companies must be able to strike the balance between IT security and employee needs. Bitglass delivers the security, visibility, and control that IT needs to enable mobile and cloud in the workplace, while respecting user privacy. BlackBerry is a mobile-native security software and services company dedicated to securing people, devices, processes and systems for today's enterprise. Bricata delivers powerful network understanding, threat detection, and threat hunting capabilities in a tightly-integrated, seamless platform built for ease-of-use, deployment, and management. Capax Global helps you unlock the value of your corporate data to create insights that support business decisions and initiatives. Our solutions incorporate Data Platform Modernization, Data Warehousing, Data Exchanges, Reporting and Data Analytics, with extensive expertise in Microsoft SQL and Azure. Centrify provides Unified Identity Services across data center, cloud and mobile - resulting in one single login for users and one unified identity infrastructure for IT. Check Point Software Technologies provides customers with uncompromised protection against all types of threats, reduces security complexity and lowers total cost of ownership. Check Point first pioneered the industry with FireWall-1 and its patented stateful inspection technology. Today, Check Point continues to develop new innovations based on the Software Blade Architecture, providing customers with flexible and simple solutions that can be fully customized to meet the exact security needs of any organization. The growing dependence on software coupled with increased exposure and usage of the Internet emphasize that software reliability is becoming increasingly critical to users. Software developers are expected to rise to the challenge and deliver applications which are both safe and secure. Checkmarx was founded in 2006 with the vision of providing comprehensive solutions for automated security code review. The company pioneered the concept of a query language-based solution for identifying technical and logical code vulnerabilities. Checkmarx staff is committed to both customers and technology innovation. Our research and development goes side by side with our business operations, to provide the best possible products and services to our customers. Citrix creates software for use on PCs and other devices to remotely connect to desktops, applications, and networks. The company's products and services are related to server, application, and desktop vitualization; networking; cloud; and Software as a Service (SaaS).These products and services are used by approximately 330,000 organizations worldwide. CommVault was founded in 1996 and first made its mark with the industry's leading backup software product. Their unique Solving Forward® philosophy and one-of-a-kind Simpana® software deliver complete data management solutions with infinite scalability and unprecendented control over data and costs. CyberArk is the only security company focused on eliminating the most advanced cyber threats; those that use insider privileges to attack the heart of the enterprise. Dedicated to stopping attacks before they stop business, CyberArk proactively secures against cyber threats before attacks can escalate and do irreparable damage. The company is trusted by the world's leading companies - including 35 of the Fortune 100 - to protect their highest value information assets, infrastructure and applications. A global company, CyberArk is headquartered in Petach Tikvah, Israel, with U.S. headquarters located in Newton, MA. The company also has offices throughout EMEA and Asia-Pacific. Cylance is the first company to apply artificial intelligence, algorithmic science and machine learning to cyber security and improve the way companies, governments and end users proactively solve the world’s most difficult security problems. Using a breakthrough mathematical process, Cylance quickly and accurately identifies what is safe and what is a threat, not just what is in a blacklist or whitelist. By coupling sophisticated math and machine learning with a unique understanding of a hacker’s mentality, Cylance provides the technology and services to be truly predictive and preventive against advanced threats. Darktrace is the world’s leading AI company for cyber defense. With thousands of customers worldwide, the Enterprise Immune System is relied on to detect and fight back against cyber-attacks in real time. The self-learning AI protects the cloud, SaaS, corporate networks, IoT and industrial systems against the full range of cyber-threats and vulnerabilities, from insider threats and ransomware, to stealthy and silent attacks. Darktrace has over 800 employees and 40 offices worldwide. It is headquartered in San Francisco, and Cambridge, UK. Demisto Enterprise is the first and only comprehensive, Security Operations Platform to combine security orchestration, incident management and interactive investigation. Demisto’s orchestration engine automates security product tasks and weaves in the human analyst tasks and workflows. Demisto enables security teams to reduce MTTR, create consistent incident management process and increase analyst productivity. Digital Guardian is the only data-centric security platform designed to stop data theft. The Digital Guardian platform performs across traditional endpoints, mobile devices and cloud applications to make it easier to see and stop all threats to sensitive data. For more than 10 years, it has enabled data-rich organizations to protect their most valuable assets with an on premise deployment or an outsourced managed security program (MSP). Digital Guardian’s unique data awareness and transformative endpoint visibility, combined with behavioral threat detection and response, let you protect data without slowing the pace of your business. ExaGrid Systems, Inc. is a disk-based backup hardware company founded in 2002. The ExaGrid system is a turn-key disk backup with data deduplication appliance that works with existing backup applications. Exabeam is a user behavior analytics solution that leverages existing log data to quickly detect advanced attacks and accelerate incident response. Exabeam’s Stateful User Tracking™ automates the work of security analysts by resolving individual security events and behavior anomalies into a complete attack chain. This dramatically reduces time to respond and uncovers attack impacts that would otherwise go unseen. Built by seasoned security and enterprise IT veterans from Imperva and Sumo Logic, Exabeam is headquartered in San Mateo, California and is privately funded by Norwest Venture Partners, Aspect Ventures and Investor Shlomo Kramer. Faction is a premiere cloud services provider and Sayers' IaaS partner. Unlike legacy colocation and hosting providers, Faction has built solutions from the ground up in the cloud, so you can take immediate advantage of the agility and efficiency of the cloud, while still leveraging your existing infrastructure investments. We prevent intrusions. And we do it relentlessly. 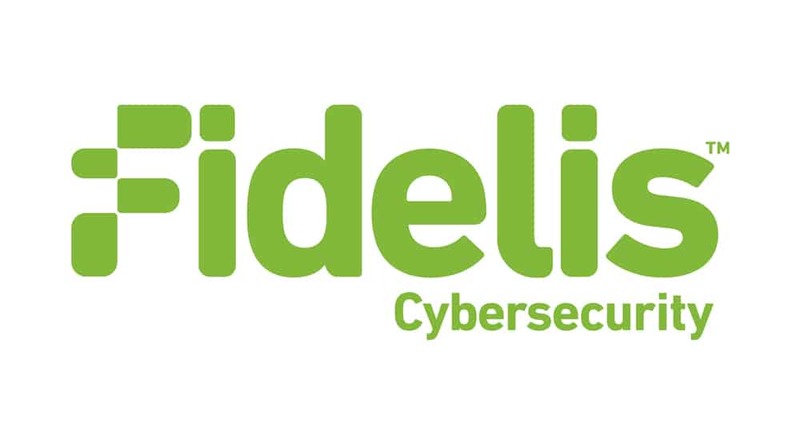 Whether attackers are trying to gain a foothold in your network or accessing sensitive data on your laptops and servers, Fidelis detects it. Then, we tell you everything you need to find them and stop them in minutes (not days or weeks). We call it next generation intrusion prevention. And we’re the first and only company to deliver it from the cloud. It’s why 40% of the world’s most valuable brands rely on Fidelis to protect their most valuable assets. FireEye is the leader in stopping the new breed of cyber attacks, such as advanced malware, that easily bypass traditional signature-based defenses and compromise the majority of enterprise networks. FireEye's next-generation threat protection complements these defenses with the world's only signature-less solution that protects across all major threat vectors. ForeScout Technologies is transforming security through visibility, providing Global 2000 enterprises and government agencies with agentless visibility and control of traditional and IoT devices the instant they connect to the network. Our technology continuously assesses, remediates and monitors devices and works with disparate security tools to help accelerate incident response, break down silos, automate workflows and optimize existing investments. As of September 30, 2016 more than 2,200 customers in over 60 countries improve their network security and compliance posture with ForeScout solutions. See devices. Control them. Orchestrate multivendor response. Learn how at www.forescout.com. Gemalto is a leading global provider of data protection. For over 25 years, Fortune 500 global corporations and government agencies have turned to SafeNet to secure and protect their most valuable data assets and intellectual property. SafeNet's data-centric approach focuses on the protection of high value information throughout its lifecycle, from the data center to the cloud. More than 25,000 customers across commercial enterprises and government agencies trust SafeNet to protect and control access to sensitive data, manage risk, ensure compliance, and secure virtual and cloud environments. Our EnCase® software solutions provide the foundation for corporate government and law enforcement organizations to conduct thorough and effective computer investigations of any kind, including intellectual property theft, incident response, compliance auditing and responding to e-discovery requests-all while maintaining the forensic integrity of the data. Headwaters Group provides vendor agnostic consulting in the design, deployment and management of heterogeneous enterprise storage environments. No other company offers as complete a technology product portfolio as Hewlett Packard Enterprise. Hewlett Packard Enterprise provides infrastructure and business offerings that span from handheld devices to some of the world's most powerful supercomputer installations. Today&rsquo;s IT landscape is all about mobility&mdash;and its impact can disrupt your workforce. Workers need access to their entire workspace, apps, data, and services, all the time. And of course, they want the flexibility of using whichever device they prefer to do their jobs. If you&rsquo;re concerned about meeting your workforce&rsquo;s needs&mdash;while also keeping your data secure and controlling operating costs&mdash;HP Moonshot and Citrix&reg; software can help. The rapid influx of smart devices, including tablets and phones, has greatly accelerated the bring-yourown-device (BYOD) and mobile workforce trends, which in turn is creating an ever-mounting management challenge to today's IT environment. The entry of diverse untrusted devices, multiple operating systems (OSs), and consumer-oriented applications into what used to be a controlled IT environment creates an onslaught of potential security holes and governance nightmares.While consumerization trends are adding significant complexity to IT operations, the increase in employee productivity, collaboration, and satisfaction that mobile technologies offer is not lost on business leaders. Business leaders are increasingly looking to IT organizations to enable employees with access to corporate data, applications, and communication resources on their devices of choice. But seizing this opportunity while maintaining proper governance and control over proprietary corporate data is complex and overwhelming for many IT teams. As a result, today it makes more sense than ever for IT leaders to consider virtual client computing (VCC) solutions. The increasing numbers and types of devices used in the workplace make desktop management and delivery a daunting task for IT staffs. The ongoing maintenance and management tasks associated with supporting these various device types directly translate into considerable IT staffing requirements and costs associated with desktop delivery infrastructure, which demands performance reliability and an uncompromised end-user experience. Security, cost, and compliance further compound PC challenges as the desktop and application delivery landscape continues to change and introduce new processes, such as &ldquo;bring-your-own-device&rdquo; (BYOD) and alternative application delivery models, forcing IT organizations to reevaluate the manner in which digital workspaces are provided to employees. HP ConvergedSystem 700 for VMware Horizon Fully tested and validated blueprint defines the optimal configuration for supporting hundreds of virtual desktop users on a converged system with the addition of graphics-accelerated virtual desktop infrastructure. HP ConvergedSystem for Citrix XenDesktop Fully tested and validated blueprint defines the optimal configuration for supporting hundreds of virtual desktop users on a converged system appropriate for mixed client virtualization workloads. Hitachi Data Systems provides best-in-class information technologies, services and solutions that deliver compelling customer ROI and demonstrable business impact. HDS offers solutions that improve IT costs and agility. Specialties include enterprise storage solutions, storage virtualization, storage economics, and application aligned solutions. HDS helps organizations transform raw data into valuable information by making data more accessible and simpler to manage. Their vision is that IT must be virtualized, automated, cloud-ready and sustainable. HDS offers a common, virtualized platform for all data and information. HP Supplies is backed by proven reliability, efficient performance, and exceptional quality. illusive networks is a cyber-security company focused on solving the most critical security threat that organizations face today: targeted attacks. illusive changes the asymmetry of cyber warfare through deep understanding of attackers' psychology and methods. Infoblox delivers essential technology to help customers control their networks. Their patented Grid™ technology helps businesses automate complex network control functions to reduce costs and increase security and uptime. Infoblox solutions help over 7,100 enterprises and service providers make their networks more available, secure and automated. InteliSecure works with its clients to identify, prioritize, and protect critical intellectual property and other key assets that if stolen, or otherwise exposed, would cause significant financial and reputational damage to their bottom line. InteliSecure provides a portfolio of Consulting, Technical, Penetration Testing, GRC and Managed Security Services to develop data and threat protection security programs that can adapt and grow as the clients’ needs change. From initial strategy and design, to fully managed security programs, InteliSecure’s proprietary Critical Asset Protection Program (CAPP) methodology provides a far more effective security solution than traditional Managed Security Service Provider offerings. "We built the Illumio Adaptive Security Platform (ASP)™ to provide unprecedented visualization and control of enterprise applications. Our system constantly inspects and adapts to the computing environment it is protecting, without pause. Moreover, since 75 percent of computing interactions never leave the data center, our customers can now have complete visibility behind the firewall, whether it is running in their data center or the vibrant public cloud services of Amazon Web Services, Microsoft Azure, Google Compute Engine, Rackspace, and many others. Our platform underpins our customers’ ability to move to new data center technologies such as cloud. It helps them achieve an order of magnitude improvement in their security posture and operational efficiency." LogRhythm's unified security intelligence and analytics platform enables organizations to detect, prioritize and neutralize cyber threats that have penetrated the perimeter or originate from within. 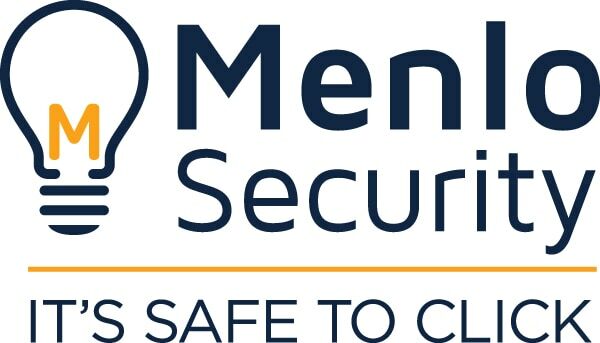 Menlo Security protects companies from cyber attack by eliminating the threat of malware from Web and email. The Isolation Platform isolates all Web content in the cloud, enabling users to safely interact online without the need for endpoint software and without impacting user experience. Cloud computing platform and infrastructure created by Microsoft for building, deploying, and managing applications and services through a global network of Microsoft-managed datacenters. It provides both Paas and Iaas services and supports many different programming languages, tools and frameworks, including both Microsoft-specific and third-party software and systems. NetApp is a leading vendor of innovative storage and data management solutions that help organizations around the world store, manage, protect, and retain their data. Headquartered in Sunnyvale, California, NetApp is a member of the NASDAQ-100 and ranks on the Fortune 1000. NetMotion Wireless develops software to manage and secure wireless data deployments for organizations with mobile field workers. Our products address the unique challenges introduced by the use of wireless, enabling our customers to maximize their return on investment in workforce automation. Nimble Storage flash-optimized hybrid storage systems are engineered from the ground up for maximum efficiency by integrating the exceptional performance of flash with the favorable economics of high-capacity hard disk drives. Palo Alto Networks™ is the network security company. Its next-generation firewalls enable unprecedented visibility and granular policy control of applications and content - by user, not just IP address - at up to 20Gbps with no performance degradation. Based on patent-pending App-ID™ technology, Palo Alto Networks firewalls accurately identify and control applications - regardless of port, protocol, evasive tactic or SSL encryption - and scan content to stop threats and prevent data leakage. Enterprises can for the first time embrace Web 2.0 and maintain complete visibility and control, while significantly reducing total cost of ownership through device consolidation. Prevalent solves your Third-Party Risk Management challenges with our suite of products, focused on automated vendor risk assessment, continuous vendor threat monitoring, and our revolutionary vertical vendor networks. Proficio is an industry leading Managed Security Services Provider (MSSP). Proficio’s ProSOC is a Security Operations Center (SOC) subscription service that logs, monitors and analyzes your organization’s security events. Staffed 24×7 by security experts and using industry leading SIEM technology, ProSOC helps organizations address critical security and compliance needs, minimize business risk, and reduce costs. The Promisec Integrity (cloud) and Promisec Endpoint Manager (on-premise) solutions enable IT, security, audit, and compliance personnel to find and fix the policy violations and disabled agents that leave organizations vulnerable to attacks. With Promisec an organization is able to do the following: Inspect Completely ? Provides 100% visibility into endpoints throughout the enterprise, every system, every OS, every application Analyze Everything? Compares current status with security and network policies, identifies deviations and change Remediate Automatically ? Enables manual or automatic remediation of endpoint problems giving complete control over change Report Definitively? Transforms comprehensive data into actionable business intelligence that informs ongoing inspections, passes compliance audits and executive level views of an organizations overall integrity Using agentless technology, both Promisec Integrity and Promisec Endpoint Manager is fast to deploy and operate, easy to manage and use, and has no impact on endpoint or network performance. Proofpoint, Inc. helps the largest and most successful companies in the world protect and govern their most sensitive data. Proofpoint is an innovative security-as-a-service vendor that delivers data protection solutions that help medium- and large-sized organizations protect their data from attack and enable them to effectively meet the complex and evolving regulatory compliance and data governance mandates that have been spawned from highly publicized data breaches. ProtectWise™ is disrupting the security industry with The ProtectWise Grid, its network security platform that captures high fidelity network traffic, creates a lasting memory for the network, and delivers real-time and retrospective alerting and analysis in a rich, innovative visualizer. By harnessing the power of the cloud, The ProtectWise Grid provides an integrated solution with complete detection and visibility of enterprise threats and accelerated incident response. The ProtectWise Grid delivers unique advantages over current network security solutions, including an unlimited retention window with full-fidelity forensic capacity, the industry's only automated smart retrospection, advanced security visualization, and the ease and cost-savings of an on-demand deployment model. Using model-driven virtualization technology, Radiant Logic builds customizable views from disparate data silos, streamlining authentication and authorization for identity management, context-driven applications, and cloud-based infrastructures. ReliaQuest, a pioneer in IT security solutions, ensures organizations remain secure and compliant as the IT world changes; empowering IT professionals with the latest relevant security technology innovations and services that simplify often complex interactions between security, risk and compliance in order to minimize loss of data, business disruptions and reputation. RSA is the premier provider of security, risk, and compliance solutions, helping the world's leading organizations succeed by solving their most complex and sensitive security challenges. As the fastest-growing, independent identity and access management (IAM) provider, SailPoint helps hundreds of global organizations securely and effectively deliver and manage user access from any device to data and applications residing in the datacenter, on mobile devices, and in the cloud. The company’s innovative product portfolio offers customers an integrated set of core services including identity governance, provisioning, and access management delivered on-premises or from the cloud (IAM-as-a-service). For more information, visit www.sailpoint.com. Security Innovation focuses on the most difficult problem of IT security, and the root cause of most data breaches –insecure software applications. For more than a decade, Security Innovation has helped organizations like Microsoft, ING, GoDaddy.com, Progress Energy and others build internal expertise, uncover critical vulnerabilities, and integrate security into their software development lifecycle (SDLC). SecurityScorecard provides the most accurate rating of security risk for any organization worldwide. The proprietary SaaS platform helps enterprises gain operational command of the security posture for themselves and across all of their partners and vendors. SecurityScorecard provides continuous, non-intrusive monitoring for any organization including third and fourth parties. The platform offers a breadth and depth of critical data points not available from any other service provider including a broad range of risk categories such as Application Security, Malware, Patching Cadence, Network Security, Hacker Chatter, Social Engineering and Leaked Information. Unlike alternative solutions that only converge servers, network switching and storage, SimpliVity’s enterprise-grade hyperconvergence converges all IT infrastructure and services below the hypervisor onto highly efficient and scalable x86 building blocks. This allows you to take control of your infrastructure by drastically simplifying the management and protection of virtualized workloads while achieving threefold TCO savings. Skybox Security provides cutting-edge risk analytics for enterprise security management. Our solutions give you complete network visibility, help you eliminate attack vectors, and optimize your security management processes. Protect the network and the business. Find Risks, Eliminate Threats, Optimize Security Management - Increase network visibility and intelligence with Skybox risk analytics - Eliminate attack vectors - prioritize and remediate risks rapidly - Optimize security processes - integrate and automate complex tasks. The Skyhigh Cloud Security Platform supports the entire cloud adoption lifecycle for shadow IT and sanctioned IT, providing unparalleled visibility, usage analytics, and policy enforcement. With Skyhigh you can empower employees to use cloud services that help grow the business while seamlessly enforcing your organizations data security, compliance, and governance policies. Sophos helps organizations keep data safe and block the growing number of complex threats. Sophos protects everywhere and offer complete security with our full range of endpoint, encryption, email, web, network security and UTM products. By monitoring and analyzing everything from customer clickstreams and transactions to network activity and call records—and more—Splunk turns machine data into valuable insights no matter what business you're in. StackIQ helps customers build, run, and manage large distributed systems and private cloud infrastructure with a complete automation platform. To date, the company has helped over 150 organizations automate over 1 Million Linux servers thereby removing over 560 years worth of manual installation and configuration tasks. Symantec allows you to stay ahead of emerging threats and extend your team with our leading cyber threat experts for global threat and adversary intelligence, advanced threat monitoring, cyber readiness, and incident response. Bolster your security posture with the capabilities of our experts around the world. Shorten the time between detection and response, reduce operational costs, and proactively counter emerging threats. Today, our platform is being used by the worlds largest organizations. For the first time, IT has 15-second visibility and control over every endpoint, even across the largest and most complex global networks. With this new level of visibility and control, new things are possible for IT. Tegile makes both hybrid and all-flash storage arrays all using the same common operating environment, IntelliFlash. Tegile arrays support inline data deduplication and compression, as well as provide storage access via iSCCI, NFS, SMB 3.0/CIFS and Fibre Channel. The modern enterprise is dynamic and borderless. TenableTM is the only cybersecurity company that empowers customers to gain control of their risk by knowing and prioritizing their vulnerabilities across their entire attack surface—including traditional, cloud, mobile and DevOps environments. Tenable rede ned modern vulnerability management with Tenable.ioTM, the industry’s most powerful, open and far-reaching vulnerability management platform. Our foundational Nessus® product continues to be the most widely deployed vulnerability scanner in the world. Tenable protects over one million users and 20,000 organizations, ranging from SMBs to governments and Fortune Global 500 companies. The Vormetric Data Security Platform makes it efficient to manage data-at-rest security across your entire organization. Built on an extensible infrastructure, the Vormetric Data Security Platform features several products that can be deployed individually, while offering efficient, centralized key management. These products deliver capabilities for transparent file-level encryption, application-layer encryption, tokenization, cloud encryption gateway, integrated key management, and security intelligence logs. Through the platform’s centralized key management and flexible implementation, you can address security policies and compliance mandates across databases, files, and big data environments—whether assets are located in the cloud, virtual or traditional infrastructures. With this platform’s comprehensive, unified capabilities, you can efficiently scale to address your expanding security and compliance requirements, while significantly reducing total cost of ownership (TCO). Trend Micro Inc., a global cloud security leader, creates a world safe for exchanging digital information with its internet content securiyt and threat management solutions for businesses and consumers. A pioneer in server security with over 20 years experience, Trend Micro delivers top-ranked client, server and cloud-based security that fits customers' needs, stops new threats faster, and protects data in physical, virtualized and cloud environments. Tufin™ is the leading provider of Security Policy Management solutions that enable companies to cost-effectively manage their network security policy, comply with regulatory standards, and minimize risks. Founded in 2005 by leading firewall and business systems experts, Tufin serves over 900 customers in industries from telecom and financial services to energy, transportation and pharmaceuticals. Reduce storage needs, allow timely recovery and ensure compliance.Leverage Disaster Recovery experts and enterprise components for a turn-key DRaaS solution. Our mission is to protect your sensitive information from threats, automate time-consuming tasks, and extract valuable insights from your data. Our platform collects, stores and analyzes metadata non-intrusively, in real-time, on the major platforms that store unstructured data. It was architected from the ground up by a team of technologists with deep domain expertise and the hunger to tackle massive problems. Veeam Software, an Elite VMware Technology Alliance partner, develops innovative products for virtual infrastructure management and data protection. Customers can reduce costs, minimize risks and fully realize the promise of virtualization with Veeam. Venafi is the cybersecurity market leader in machine identity protection, securing all machine-to-machine connections and communications. Venafi protects all machine identity types by orchestrating cryptographic keys and digital certificates for SSL/TLS, IoT, mobile, code-signing, and SSH. Venafi provides global visibility of all machine identities and the risks associated with them for the extended enterprise—on premise, mobile, virtual, cloud and IoT — at machine speed and scale. Venafi puts this intelligence into action with automated remediation that reduces the security and availability risks connected with weak or compromised machine identities while safeguarding the flow of information to trusted machines and preventing communication with machines that are not trusted. With over 30 patents, Venafi delivers innovative solutions for the world's most demanding, security-conscious Global 2000 organizations, including, the top five U.S. health insurers, the top five U.S. airlines, four of the top five U.S., U.K. and South African banks and four of the top five U.S. retailers. Venafi is backed by top-tier investors, including Foundation Capital, Intel Capital, Origin Partners, Pelion Venture Partners, QuestMark Partners, and Sliver Lake Partners. For more information, visit www.venafi.com. VMware, the global leader in virtualization and cloud infrastructure, delivers customer-proven solutions that accelerate IT by reducing complexity and enabling more flexible, agile service delivery. VMware enables enterprises to adopt a cloud model that addresses their unique business challenges. VMware's approach accelerates the transition to cloud computing while preserving existing investments and improving security and control. With more than 300,000 customers and 25,000 partners, VMware solutions help organizations of all sizes lower costs, increase business agility and ensure freedom of choice. ZixCorp® is a leader in email data protection. They offer industry-leading email encryption, a unique email DLP and an innovative email BYOD solution to meet your company's data protection and compliance needs.